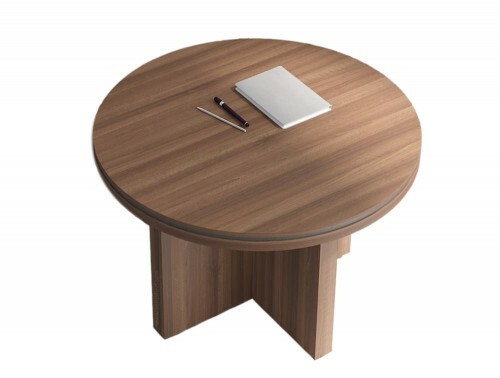 Circular table designs are highly versatile and can be used in many settings within a workplace. 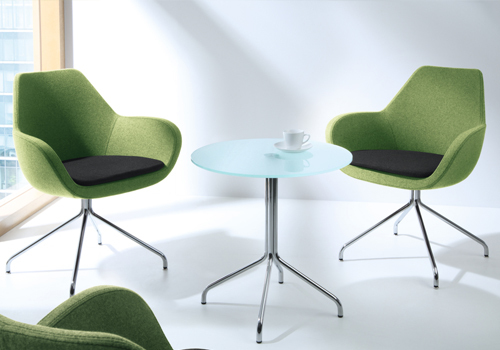 They are highly suitable for conferences, boardrooms, meeting rooms and even canteens, receptions and breakout areas. Their flexibility means you can use them for whatever purpose you require, as and when you need them. 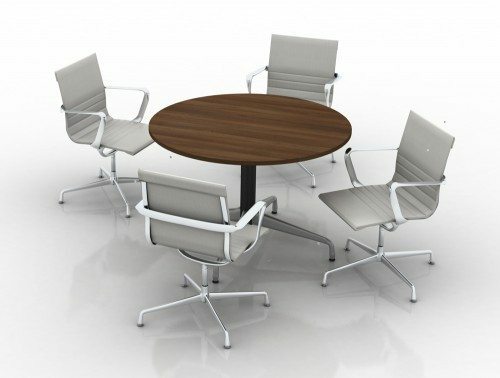 As a result, they’re one of the more popular forms of office furniture, regardless of the nature of the business. 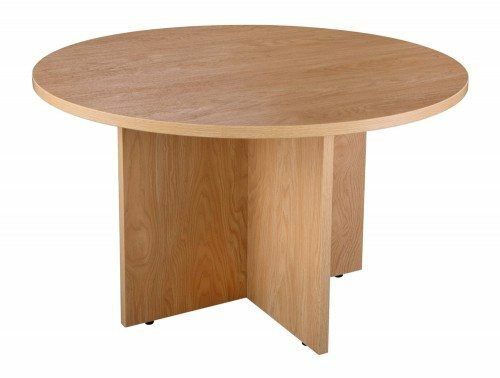 Our online megastore offers a wide variety of high-quality round desks with stylish designs and features to suit your office décor. We have large round office tables as well as small round office tables. 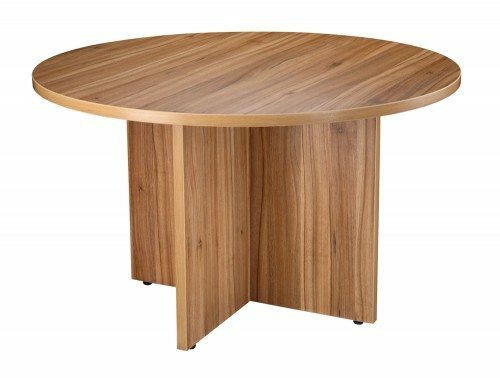 You can choose between a glass round table or a circle table with popular wooden finishes that are offered in beech, oak, cherry, walnut and maple, just to name a few. 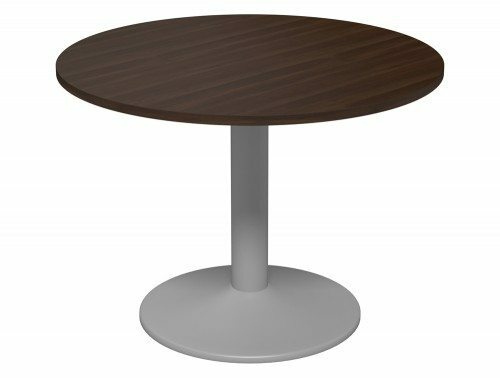 You can also select a leg style that works well with your existing décor with a choice from a simple trumpet legged round table, arrow head base or a meeting table with panel leg base or a round glass office table with a metal base. The glass finish adds a sense of sophistication in the workplace and are particularly effective in the boardroom or an executive office to surely impress your clients. They’re also well suited to reception areas and meeting rooms to put your company catalogues on display as they are a perfect choice of furniture to use as a dynamic centrepiece. 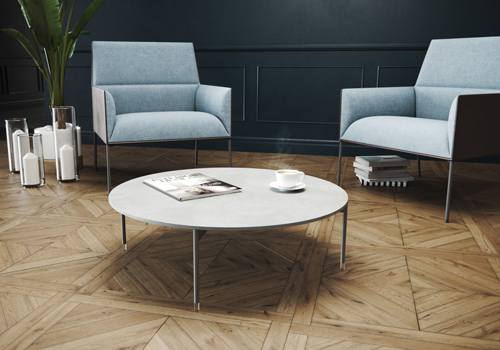 The round glass tables in our collection boast an adjustable leg frame to further enhance its versatility. 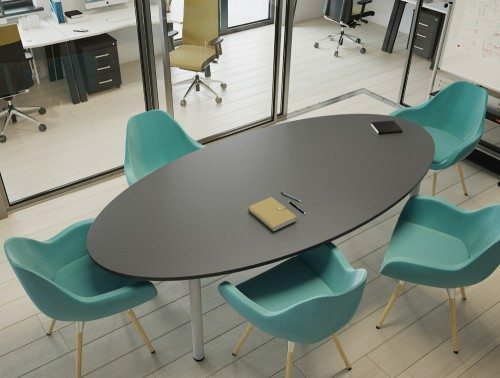 We also offer elegant and modern round desking systems that range from a 4-person circle desking system to a 10-person capacity. These tables are offered with an optional modesty panel and in-built cable management and power and data modules if you wish to attach electronic devices such as computer screens on the desks. Power and data modules enable colleagues or clients to work freely, without having to worry about their electrics running out of power. 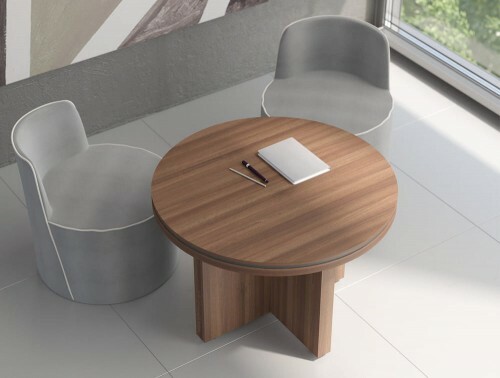 The circular shape of the table boasts is perfect for collaborative working situations. It facilitates easy conversation and simple sharing of work. A modesty panel can be easily fitted on to an office desk, providing coverage for the legs, and an extra bit of privacy when at your workstation. It also adds a sleek, stylish finish to an office desk. Round shaped tables are highly versatile and are a popular choice when it comes to office design. 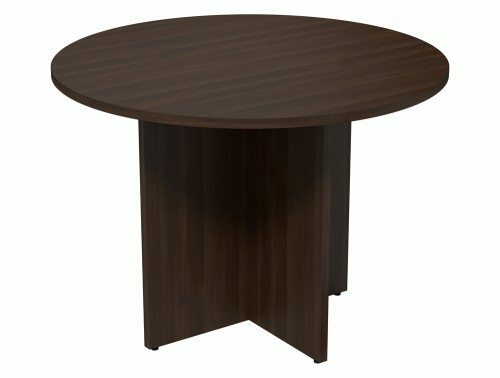 We offer a large range within our catalogue to suit wherever you choose to put your round tables. 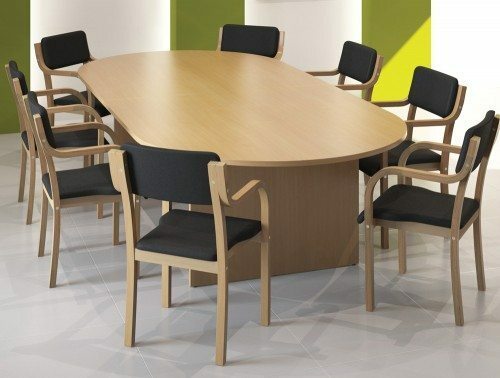 For meetings and boardrooms, we have wooden office round tables to surely impress your clients and visitors. 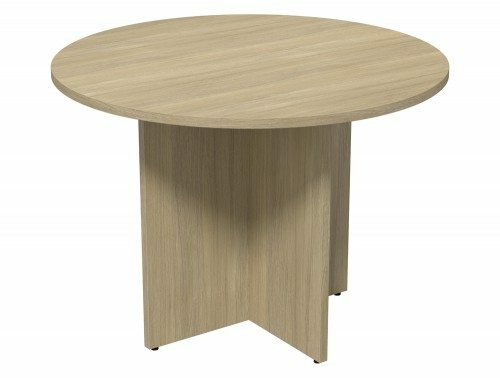 The round glass office table is a perfect addition to any area in the office where you wish to add a sense of sophistication. The glass design brings a modern and stylish feel into an office space. 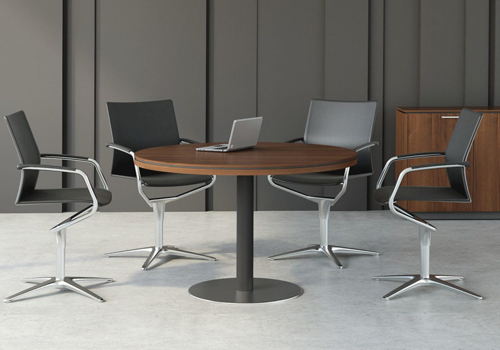 Radius Office Furniture have a wide range of high-quality round tables, manufactured by some of Europe’s leading office furniture designers, such as Profim, Balma, Arthur, Sonix, Quando and Buronomic. 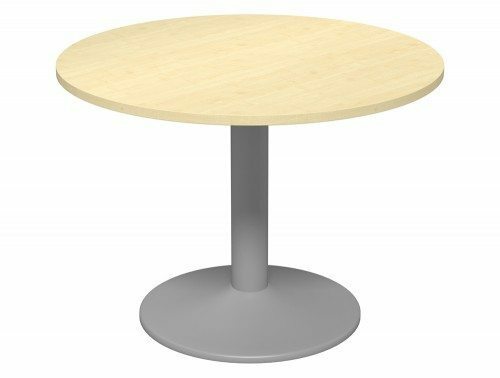 Sourcing our furniture from these reputable suppliers can help us guarantee you the best design of round office tables for your money. 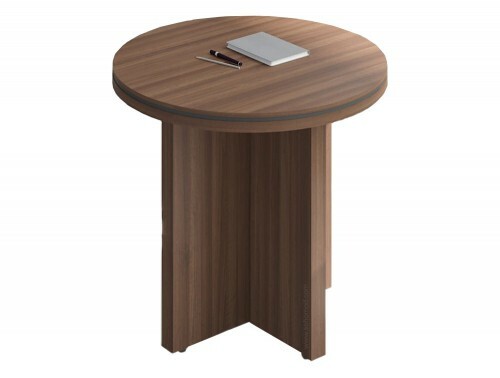 A selection of our circular desk design is offered with a warranty, which means its quality and functionality is guaranteed during that time period. Lastly, the product has been rigorously tested to make sure it is of the highest standard for use in the home and office. 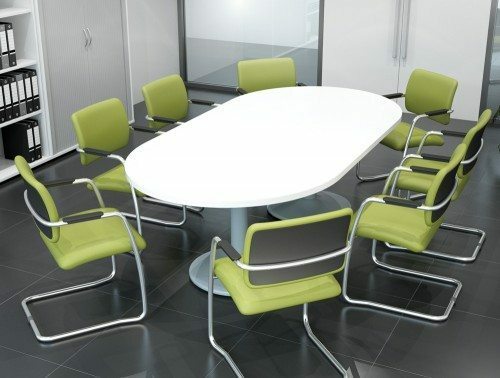 Here, at Radius Office furniture, we understand that price may be a big deciding factor when it comes to purchasing furniture, that is why we offer a variety of different circular meeting room table options to suit every budget. 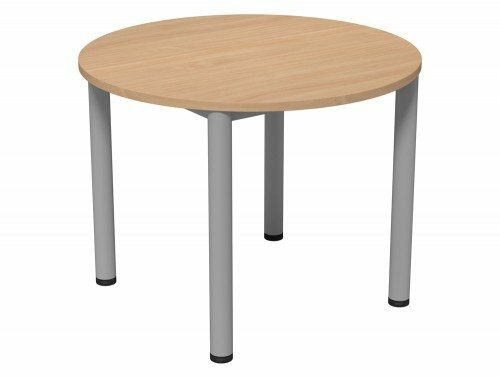 We have affordable circular tables on offer that are highly durable and we also have more high-end round table options with extra features. 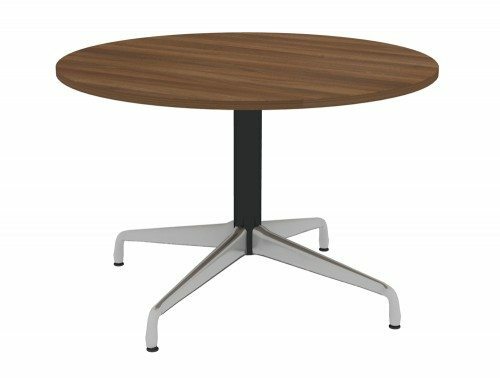 If you’d like to find out more about our range of Round Meeting Tables or discuss your requirements, simply request a callback.